Diabetes is a major cause of blindness, kidney failure, heart attacks, stroke and lower limb amputation.Diabetes is of two types, Type 1 and Type 2; it is very unfortunate if one is diagnosed with diabetes. Let us get some information about diabetes and how can we control it. According to World Health Organization (WHO), 422 million people were suffering from diabetes in 2014; in 2015, an estimated 1.6 million deaths were directly caused by diabetes. It is 2018 now and we can estimate that the numbers might have increased considerably. Diabetes is a major cause of blindness, kidney failure, heart attacks, stroke and lower limb amputation. Diabetes is of two types, Type 1 and Type 2; it is very unfortunate if one is diagnosed with diabetes. Let us get some information about diabetes. Diabetes is a chronic disease that occurs either when the pancreas does not produce enough insulin or when the body cannot effectively use the insulin it produces. Insulin is a hormone that regulates blood sugar. Hyperglycemia, or raised blood sugar, is a common effect of uncontrolled diabetes and over time leads to serious damage to many of the body's systems, especially the nerves and blood vessels. Type 1 diabetes- Type 1 diabetes (insulin-dependent, childhood-onset) is characterized by deficient insulin production and requires daily administration of insulin. The cause of type 1 diabetes is not known and can be reversed or cured. Symptoms include excessive excretion of urine, thirst, constant hunger, weight loss, vision changes, and fatigue. These symptoms may occur suddenly. Type 2 diabetes-Type 2 diabetes (non-insulin-dependent, adult-onset) results from the body’s ineffective use of insulin. Type 2 diabetes comprises the majority of people with diabetes around the world, and is largely the result of excess body weight and physical inactivity. Symptoms may be similar to those of type 1 diabetes, but are often less marked. As a result, the disease may be diagnosed several years after onset, once complications have already arisen. You can keep a check on diabetes. 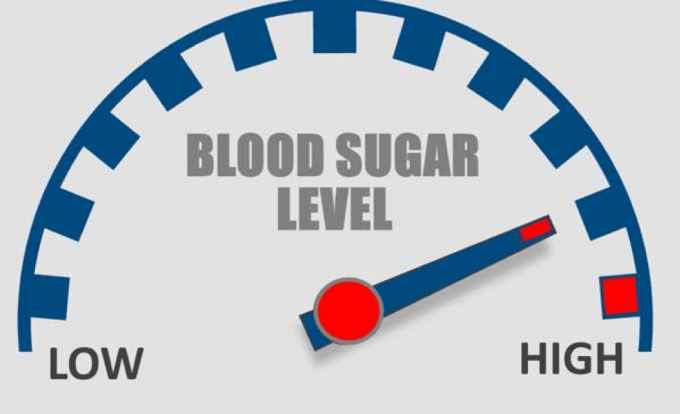 So, here are ways in which you can control your blood sugar level. Diabetes is signaled by an elevated blood sugar level of more than 126 milligrams per deciliter (mg/dL) for a fasting blood test, or more than 200 mg/dL at any time during the day. 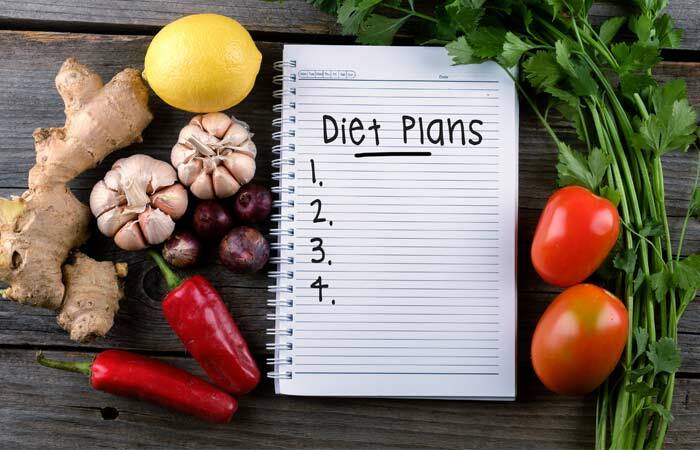 Diet Plans- Many people with diabetes achieve better control over their blood sugar by limiting the kinds of foods that can cause blood sugar to spike. For example, your doctor might recommend cutting back on carbohydrates and eating more lean protein, fruits, and vegetables. Fiber is helpful too. Drinking and smoking can cause an immediate rise in blood sugar and then a drop a few hours later. Cutting down Carbohydrate intake- Carbohydrate converted as glucose and gets to use as energy from the blood. It has high influence in the blood sugar which causes Type 2 diabetes easily. Non-starchy vegetables like mushrooms, broccoli, avocados, cauliflower, cucumbers, watermelon, green leaves are having low carbohydrate content. Add more amount of these vegetables and fruit in each meal in a day to reverse diabetes. Consume whole grains and food rich in fiber, whole grains are brown rice, whole grain bread, oatmeal, barley, millet having high protein and fiber content. It consumes more time to convert to glucose in the blood. So it does not feel hunger to the type 2 diabetes patients. Rich fiber foods include black beans, peas, lentils, broccoli, cranberry, raspberry, oranges, etc. Manage stress and sleep- For a diabetic person, a stress free life and sleep are very important, manage your stress because stress can increase the blood sugar, sleep 7 to 8 hours in the night, sleepless habits tend to high blood sugar, blood pressure, weight gain and type 2 diabetes. Do exercise and meditation. Medicated Care- There are several drugs or medicines that are recommended by doctors to diabetic people to control the blood sugar level. Biguanides, the drug class that includes metformin, help your body use insulin more effectively and may also reduce the amount of blood sugar made by the liver. 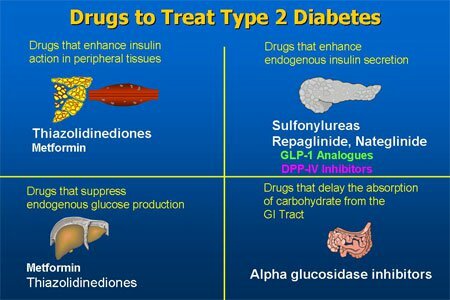 Sulfonylureas cause certain cells in your pancreas to make more insulin, though low blood sugar. Meglitinides, a class of drugs that includes repaglinide, cause your pancreas to make more insulin. Thiazolidinediones, a class that includes pioglitazone, may help insulin work well. Alpha-glucosidase inhibitors, a class including acarbose, stop the body from breaking down starches and may be used to prevent a spike in blood sugar after a meal.